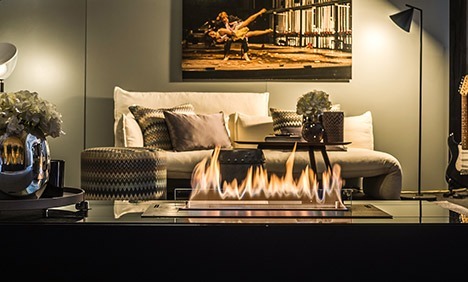 Enjoy the classic design with a modern fire. Enjoy open-flame with our intelligent bio fireplace inserts with unlimited arrangement possibilities. 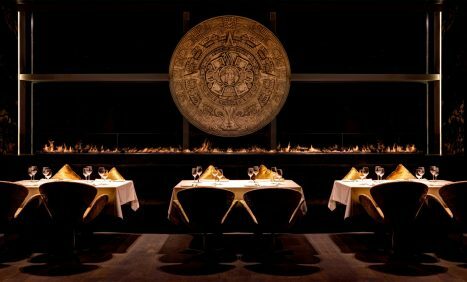 To enrich your interior setting, Planika created a collection of modern tables with integrated fire burners. 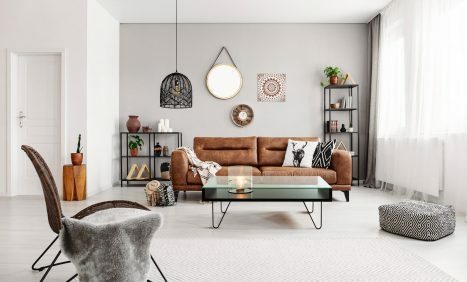 This original mixture of functional furniture and beautiful flames create an interesting focal point in your space. Never before in the industry has been possible to create an endless long line of fire. Planika achieved this goal by developing modular smart fireplace inserts specifically designed to be joined together. Create your own line of real fire in any length. Shorter or longer? 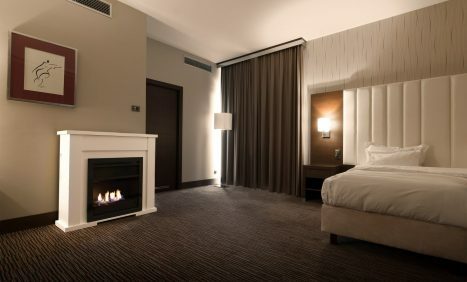 We know our customers may have non-standard requirements, which is why we offer advanced bio fireplace inserts in customized lengths, designed specifically to your needs. With our range of customization options, it is possible to create intelligent fireplaces in variety of shapes and configurations. 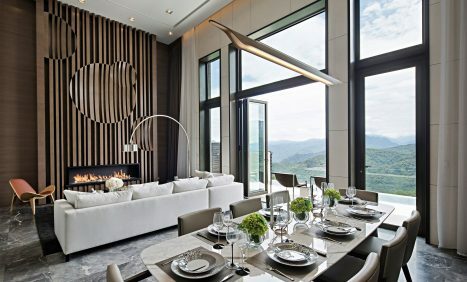 Give your fireplace a unique look of its own to make your interior design exceptional. 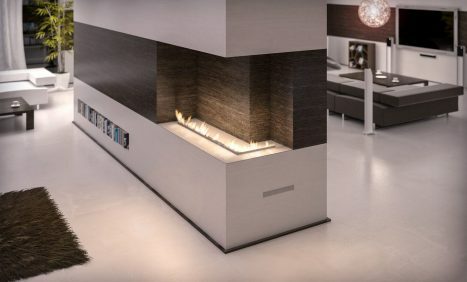 An ethanol fireplace in casing with front fireview provides elegance and warmth to spaces of all kinds. This ready to build-in insert is a solution for those, who look for modern fireplaces in classic design. 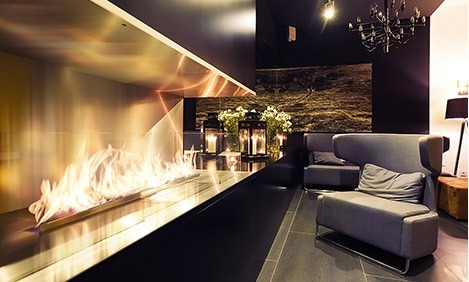 Our see-through ethanol fireplaces bring the most interesting and elegant aesthetics to any interior. 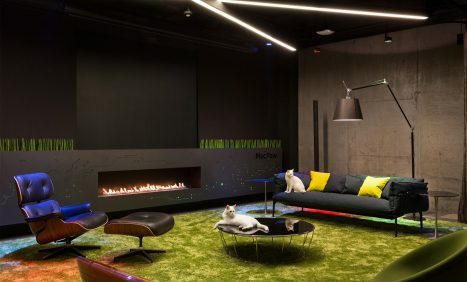 Its unique design allows to keep the visual connection between spaces and provides the most natural flames in two rooms with only one fireplace. 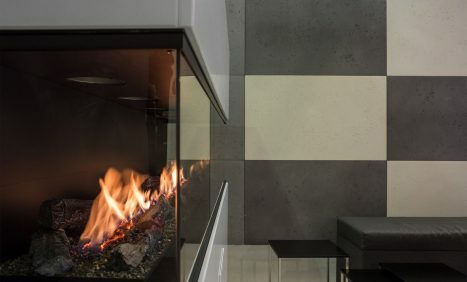 An automatic fireplace designed in a casing with two open sides for even more visible flames. 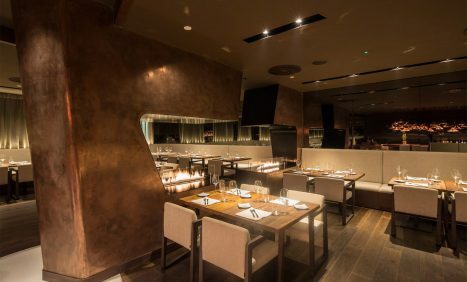 Installed in the end of the wall, the front and left/right fireview creates the natural draw into the room, giving the space a touch of architectural interest. 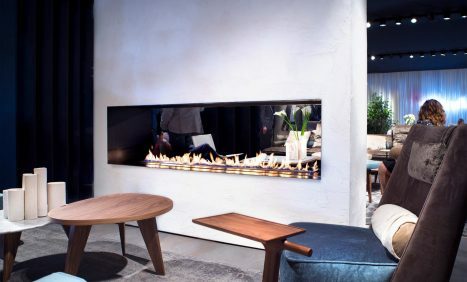 Upgrade your space with a three sided open fireplace for the most intriguing effect. With the widest fireview possible in classic casings, this solution will give your space a touch of warm ambience and pleasant look. Planika’s three sides open fireplace makes a unique showstopper for contemporary living rooms or any other open concept interior. The room divider breaks up the interior, creating two separate spaces with one fireplace. The contemporary solution for the maximum comfort and unlimited arrangement possibilities. Planika’s freestanding bio fireplaces with plug & play installation ensure instant natural fire in any interior. 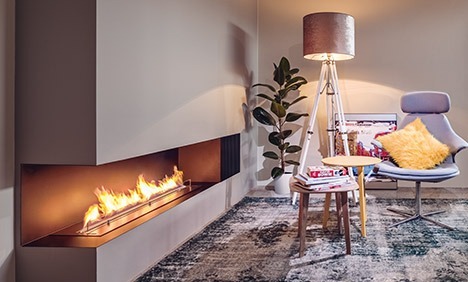 Planika has developed a system of decorative accessories integrated with specifically designed burners, enabling you to create the most natural-looking smokeless fireplace, decorated with ceramic eco logs, vermiculite and glowing embers.